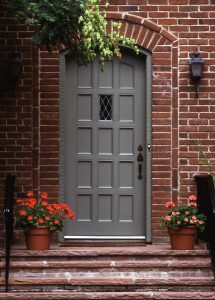 Trust Majors Home Improvement for residential doors that are beautiful, energy efficient, and durable. We serve homeowners in Milton, Florida, and all surrounding communities, and we’ll help you transform your home with a brand-new entry door that provides a significant boost to your residence’s curb appeal. Our Majors Select™ Residential Doors help to improve the energy efficiency in homes thanks to their polyurethane core that offers exceptional insulation. What this means for you is that your home will be able to better regulate the indoor temperature and you won’t need to rely so much on your HVAC system. In turn, you may see lower energy bills in the future. To learn more about our residential doors and installation services, contact Majors Home Improvement today. We’re pleased to serve homeowners in Milton, FL, and all neighboring communities.